Beaumont Health Care Fraud Attorneys - Oberheiden, P.C. Health care providers in Beaumont, Texas that rely on reimbursements from Medicare, Medicaid, Tricare, and other health benefit programs are being aggressively targeted by federal law enforcement authorities. These authorities, including the U.S. Department of Justice (DOJ), the Drug Enforcement Administration (DEA), the Department of Health & Human Services’ (DHHS) Office of Inspector General (OIG), and the Medicare Fraud Strike Force, are pursuing both civil and criminal charges against providers suspected of health care fraud, and all types of providers are at risk of facing substantial financial penalties and long-term imprisonment. While large-scale health fraud schemes make headlines, most fraud investigations target legitimate providers. The DOJ, DEA, OIG, Medicare Fraud Strike Force, and other federal authorities heavily utilize data analytics software to identify potential targets for investigations, and any program billings that deviate from relevant norms are likely to trigger further inquiry. Although these deviations will often have simple explanations, in today’s world of vigorous health fraud enforcement, convincing the government not to pursue charges requires skilled legal representation. Oberheiden, P.C. is a national health care fraud defense law firm headquartered in Texas. 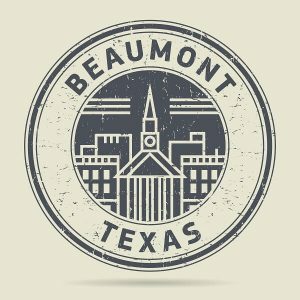 We have two office locations in the state, including one in Houston, and our attorneys are available to take immediate action to protect Beaumont health providers in federal investigations. As former federal health fraud prosecutors, we understand the government’s priorities in these investigations. As skilled defense lawyers, we know what it takes to help our clients avoid civil and criminal penalties. If your business or practice is at risk due to allegations of health fraud, let us put our decades of experience to work for you. Our Beaumont health care fraud defense lawyers provide full-service legal representation for all health fraud-related matters. If your business or practice is facing an audit or investigation, the health care fraud defense lawyers at Oberheiden, P.C. can represent you throughout the process, and we will work closely with you and your key personnel to craft a response that minimizes your potential exposure. We have represented clients across the country in investigations involving all federal agencies that investigate and prosecute cases of suspected health fraud, and not one of our clients has been forced to close its doors as the result of an investigation in which we provided representation. Billing and Coding Errors. Each of the major health benefit programs has its own unique set of complex billing rules and regulations. Complying with these rules and regulations presents a substantial burden, but it is one health providers must carry in order to avoid federal scrutiny. Both intentional and unintentional coding errors can lead to FCA investigations, with potential penalties including recoupments, treble (triple) damages, fines, program exclusion, and even federal incarceration. Illegal Kickbacks and Referral Fees. Under the Anti-Kickback Statute and the Stark Law, it is illegal to offer, pay, solicit, or receive any form of compensation in exchange for the referral of a patient who is a health benefit program beneficiary. While there are several safe harbors under both statutes, in order to avoid liability, you will need to affirmatively establish that your referral relationship qualifies for safe harbor protection. Prescription Drug Fraud. Prescription drug fraud allegations potentially implicate numerous federal statutes, and physicians, pharmacists, and others accused of offenses involving prescription medications can face substantial criminal penalties. We have extensive experience in prescription drug fraud investigations, and we can work to establish that any apparent unlawful practices have both legal and medical justification. Physician Certification Errors. Hospices, home health agencies, and certifying physicians in Beaumont, Texas are increasingly being targeted for fraudulent certification Alleged shortcomings such as failure to perform in-person exams, failure to follow physician-reviewed care plans, and failure to obtain re-certifications are all common issues in hospice and home health agency investigations. Health Care Fraud Q&A with the Attorneys at Oberheiden, P.C. Q: What types of health care providers are being targeted in Beaumont, Texas? Q: What are some examples of billing and coding errors that can trigger federal health fraud investigations? Learn more about these and other forms of billing fraud. Q: What are some examples of practices that can lead to allegations of prescription drug fraud? Q: What are the penalties for health care fraud? The penalties for health fraud vary by statute, and they are also heavily dependent upon the unique facts and circumstances involved in each particular case. For example, while the Stark Law only includes provisions for civil penalties, the False Claims Act and the Anti-Kickback Statute both allow for civil and criminal prosecution. In many cases, statutes that are not specific to health care (such as criminal drug statutes) will be implicated as well; and, in serious cases, it is not unusual for providers to face the prospect of insurmountable financial penalties and decades of federal incarceration. Q: What steps can I take to protect my business or practice now that I am aware of the government’s investigation? Intervene in the investigation and open a dialogue with the federal agents and prosecutors involved. Advise you and your key personnel on steps to take (and mistakes to avoid) at each stage of the investigation. Seek to keep the investigation civil in nature and achieve a favorable resolution without charges being filed. To schedule an appointment with our Beaumont health care fraud attorneys, please call (888) 519-4897 or request a free case assessment online. Any unnecessary delays can reduce your chances of avoiding charges, so contact us now to start protecting your business or practice today.